Misshapen, cracked, or stained teeth can put a damper on your self-confidence and become the only thing you think about when you smile. 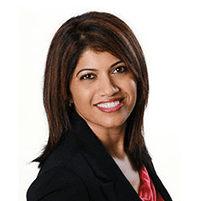 Kavitha Gowda, DDS, and the dental experts at Perfect Smiles Dentistry offer porcelain veneers as a way to make your smile look and function better. Custom veneers can help you feel and look your best. Turn to Perfect Smiles Dentistry for veneers in Everett, Washington. Schedule online or call for an appointment. Veneers are a very thin layer of porcelain that helps re-create the look of your natural teeth. One of the experienced cosmetic dentists at Perfect Smiles Dentistry custom-fits each veneer to the individual teeth in your mouth, then bonds the veneers to your existing teeth. Veneers hide defects like gaps, stains, cracks, or misshapen teeth. In addition, they help reinforce frail teeth. Veneers can be made from composite resin or porcelain. Porcelain is the most stain-resistant material out of the two materials. Porcelain more closely resembles your actual teeth enamel, too. A member of the qualified dental team presents your options and suggests the best type of veneers for you. After a meeting to talk through your veneer options and the results you’d like to see, you return for a follow-up appointment. A cosmetic dental specialist then removes a tiny layer of enamel from the surface of your existing teeth to make sure the veneers bond and fit properly. After your teeth are ready, your dental practitioner makes an impression of your teeth so the dental lab can create your custom veneers. You come back to have the finished veneers fitted to each tooth. After cleaning and etching the surface of your teeth to prepare them for the bonding process, the dental expert applies a special cement and light source that causes the adhesive to bond securely to the porcelain. In no time your veneers are permanently in place, and you have a new and improved smile! Book a consultation online or call Perfect Smiles Dentistry today to see how easy it can be to improve your smile with custom veneers.